Wouldn’t you love a new Valentine’s Day wreath for your home this year? 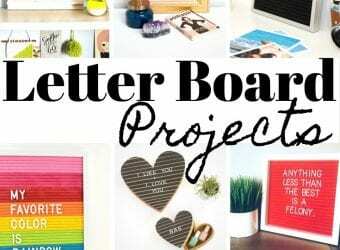 It is not too late to whip up some fun and frugal Valentine’s Day décor for your home. 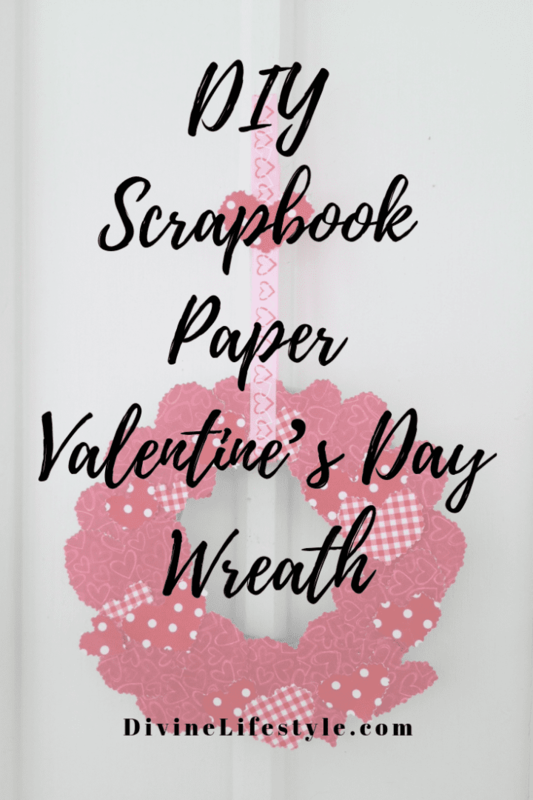 You don’t need a great deal of supplies or crafty know how to make your own Valentine’s Day décor, you just need a few basic supplies and in no time you can make a scrapbook paper Valentine’s Day wreath like you see below. Take a look at how easy this Valentine’s Day craft is! 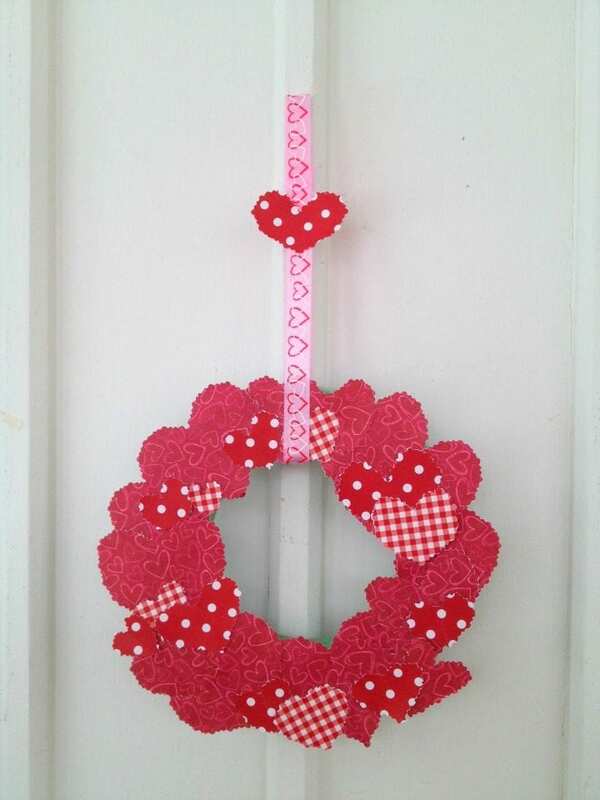 We hope that you love this DIY Scrapbook Paper Valentine’s Day Wreath. PRO TIP: We were able to find everything we needed at our local craft store. Find contrasting paper patterns that won’t blend into each other but still look cohesive when grouped together. It will help you achieve a great look! Begin by cutting assorted hearts out of your scrapbook paper. You want to cut out about 20 hearts, all in various sizes. You want a nice variety of small, medium, and large hearts. We simply folded smaller pieces of the scrapbook paper in half and then cut out one half of the heart, so when we unfolded it we had a symmetrical shape. Begin assembling your hearts on the foam wreath form. Apply a generous amount of glue to the back of the heart and then press it to the foam. Hold it in place for a few seconds until it adheres. Start at the top and work in a clockwise fashion, gluing on your LARGEST hearts first. 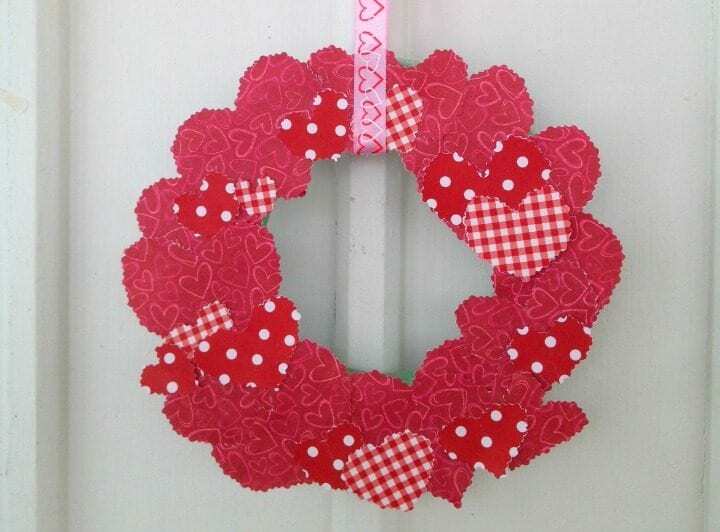 Add a second layer of hearts, this time scattering medium sized ones on the wreath. Finally, apply a third layer, this time adding in your smaller hearts. You want your wreath to look nice and round, with all of the wreath form covered. 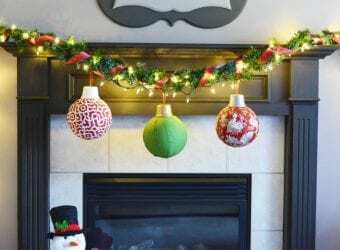 Finish your wreath by running a length of ribbon through it and tying it at the top. You can even glue on an additional heart embellishment as we did for extra flare. Your wreath is now ready to be displayed! It offers the perfect pop of Valentine’s Day charm to your home easily and inexpensively. We hope that you love this DIY Scrapbook Paper Valentine’s Day Wreath. Happy Valentine's Day!